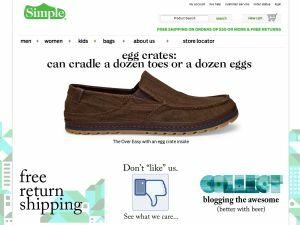 Coupon Code Click to Activate 25% Off Men's Shoes at SimpleShoes.com! Coupon Code Click to Activate 25% Off Women's Shoes at SimpleShoes.com! Found a coupon for Simple Shoes?